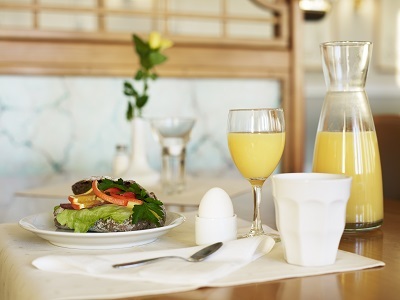 Breakfast is served in the hotel dining room. With us you will find obviously fair trade coffee and lots of local produce. We also offer light meals in our lobby bar. Are you a company we arrange gladly lunch and dinner for you. Contact us for deals and suggested menus for lunches and dinners.